Tyler and Grace, a young couple in rural Arkansas, are out for a walk in the Ozarks, when Grace suddenly disappears into thin air on the trail right in front of Tyler. When Tyler tries to explain this to the authorities later he is arrested for suspected murder of his girlfriend. Luke is Tyler’s cousin. His hobby is building primitive weapons, hunting with primitive weapons and tools, and playing survivalist in the woods of Arkansas. When he hears about Grace’s disappearance, the believes Tyler, and he goes on a quest to figure out what happened. On this way, a mystery woman who claims to be a writer, befriends him and they retrace the steps of Tyler and Grace. Sure enough, there seems to be a “portal” in the woods. They traverse the portal and end up in “another dimension.” But they don’t have much time to reflect. Luke finds himself in a net, trapped like game in the woods by tribal savages. Portal to the Forgotten is sold as a time travel story, and that’s how I stumbled upon it. But it really has little to do with time travel. The protagonists are simply tossed into a world that is completely different from their own, with seemingly no way back. The author romanticizes his characters. Luke, for instance, happens to be a primitive hunter. He drives his pickup truck into the wilderness, parks the truck, walks away, sort of like they do in Naked and Afraid, and builds tools, hunts animals, and lives off the land. That’s his hobby. Supposedly he is REALLY good at that. Now what are the odds of such a person ending up jumping through a portal into a primitive prehistoric world, without any weapons or tools? Yes, the plot in this story is too contrived. Luke is the perfect primitive hunter, better than any of the tribal adversaries. Moon turns out to be a one-man army – think of Rambo. Grace, a martial artist, is also a fighter in her own right. So the people stumbling into the “other dimension” are all super heroes with super hero skills. The land where they end up is not quite the past, or perhaps the deep past, but a prehistoric world full of different tribes, some more advanced than others, but who all are killing each other. The world is so savage, that every time two human males of different tribes cross paths, one of them dies. Of course, our super hero crew always wins, and the savages fall like leaves. Still, a society where human males always kill each other on contact would not survive very long, but that seems to be the world they are thrown into. And let’s not forget, there is the obligatory Nazi named Karl who time traveled to the same world in an effort to steal ancient technology, kind of like in Indiana Jones. True to expectation, it’s the Nazi and his mission who makes everyone’s lives complicated. Portal to the Forgotten is a somewhat clumsy story with an unlikely plot. It starts out interesting, but as it evolves, it gets boring. There is a lot of editing needed. Sometimes the author uses wrong words or poor grammar. The book could use some professional editing. There is a lot of exposition, where the author tells us what the protagonists are thinking. So we are constantly in the heads of the protagonists, and their thoughts are often just puerile. For instance, at one point in the story, still back in the Ozarks, Moon had passed out drunk and naked and Luke had brought her into the cabin and put her into bed. So it’s established that Luke had seen Moon naked before. “While you are whittling on that, I’m going to bathe.” She stood. “I trust you won’t look.” Luke immediately turned red. He hated himself for it. “That is so cute.” He turned redder and scraped harder and faster, wished she would just go bathe. He heard her behind him taking her clothes off. He was tempted to look, but he was too embarrassed to say anything, much less turn around. Gschwend, John. Portal to the Forgotten: A time travel story (p. 55). UNKNOWN. Kindle Edition. The passage continues for a while where Moon is all prissy about standing in front of the fire to dry off and making Luke close his eyes. So these two adult super heroes are stranded in a wild country and they are worried about seeing each other naked? The book is full of descriptions of such unlikely and inconsistent behavior, it makes the characters unreal and incongruent. Portal to the Forgotten has too much crammed into the story that does not belong there or add to the plot. The science is babble-science. I like my science fiction to the SCIENCE fiction. 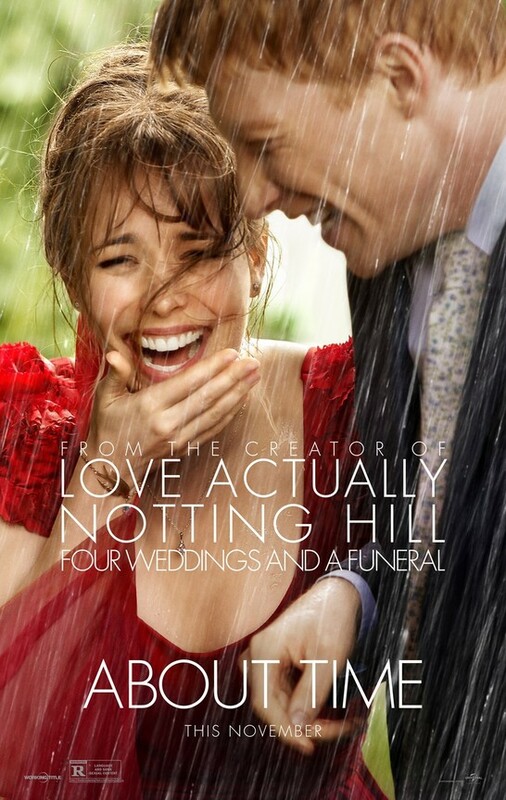 The plot is contrived and the characters are just not very interesting. There is a sequel, but I won’t read it. Cady McCall is an iOS game programmer who just struck it rich by publishing a hit game which she sold to Apple. As she walks home alone from a meeting at night in Seattle, she is followed and then mugged. A rescuer comes along just as she passes out. When she wakes up, she is in a moldy and dirty room in London in the 1880s, with a man named Titanic Smith, a U.S. Marshal from the Wild West. As the two try to figure out what happened to them, they have a number of adventures in time, with one trip even to ancient Rome. They did not return to her apartment. Not this time. Instead they caught a cab to the Alexis Hotel after she’d grabbed a couple of adjoining rooms on Expedia. Also, the author applies a strange point of view switch, that, if it were executed correctly, could work quite well. For instance, Cady is a 2016 American hip girl in her early twenties. And she speaks and thinks like one. Smith is a 19th century U.S Marshal from the West. He has a folksy way of talking and thinking. The author switches between the two points of view and gets into the heads of the protagonists, so we hear them thinking, but the switch occurs randomly inside paragraphs or chapters, which results in occasional confusion. Who is telling the story? Generally, when an author does this, he works using alternate chapters with different view points, and it’s pronounced and clear. Now we’re seeing the story from Cady’s point of view, now from Smith’s. A little editing of the books structure could have fixed this. Now here is the cool part, if you’re still reading: About 40% into the book, Smith and Cady land by accident in Seattle in 2019, and a different 2019 it is. I got a kick out of the Fourth Reich episode, since I found it so timely. I cannot tell when Birmingham released A Girl in Time; the book oddly lacks a copyright page. He must have written it before Trump was elected, and he simply played on the theme. We’re obviously not a dystopian fascist country yet, but some of the things being done now are very scary and Birmingham predicted them in this novel. Some Amazon reviewers blasted the writer for letting his political views come through and using the book to lecture. For me, it was the opposite. 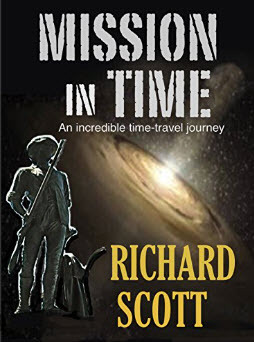 As far as time travel adventures go, this is a so-so book and I am not sure I’ll be interested in reading the sequel when it comes out – but I might. As far as the sequence on Trump, it made this book, and therefore, even though I would have only given it a two-star rating, I bumped it up by half a star. It will probably boost Trump’s ego when he finds out he is a character in a novel, even though not a flattering one. Trump, the angry Cheetos demon! This is absolutely the worst book I have ever read. I am not sure how I even came to spend $2.99 for this book. 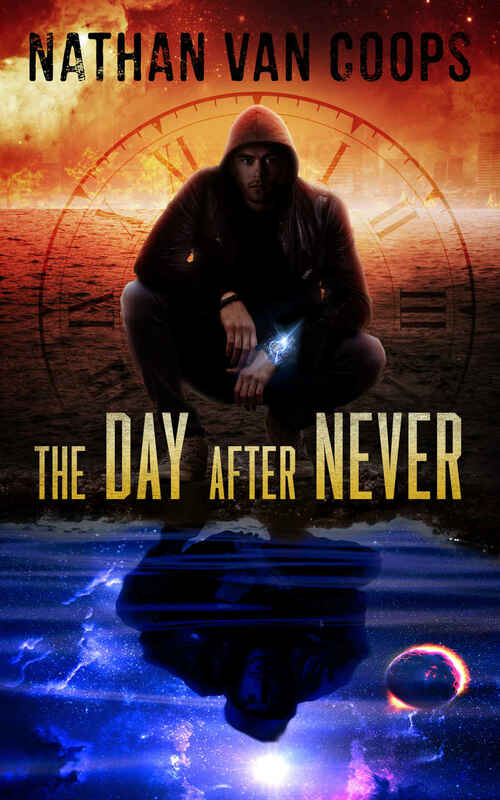 It was listed as a science fiction and time travel novel in my Amazon feed. Once I was a couple of chapters into it, and since it was so short, I kept reading it not because it had my attention, but because it was so bad, I kept reading it just to entertain myself. I am not sure if the author is writing in English as a second language, but he’d better be. Misspellings and grammar mistakes abound. Sometimes extra words are inserted, and other times words are missing. Nobody seems to have proofread this book, let alone edited it. I read the entire book, and I honestly don’t know what is going on. An astronaut, who likes aviator glasses (we know this because about 5% of the book talk about his glasses) leaves on a journey. It is not clear where to and why. But he has to say good bye to his wife, who goes into cryogenic sleep while he is gone. Somehow the science goes wrong and he ends up in the 1960s somewhere in the American West, and there are some characters they interact with. The astronaut is also a gambler, and he wins some money in Las Vegas. I am telling you, it is really, really bad. When Liam came to, the ‘balloon’ had split, slowing the ship. He was the only one of the three that were conscious. He sent some messages back to earth. Orbits of other planets were periodically slowing the ship down. His messages were sporadic. He knew that earth would not receive them for years, now, but he sent them, anyway. He looked up. They were headed towards a planet at full speed. It was their intended destination. The ship had been knocked off course. Liam attempted to wake up his captain. Captain Stewart woke with a start. Keats had been thrust back in his chair too forcefully. His belt had broken. His neck had broken. He was dead. ‘Stay calm.’ The captain said. Liam was unsure of who he was talking to. ‘We’re still alive. We can make it back.’ He muttered under his breath, before calmly telling Liam some orders. He immediately obliged. The ship yawed and tilted. It was in the pull of the atmosphere, but it was enough. They orbited it and began heading back in the direction of earth. ‘Let’s sleep.’ The captain said, leaving his chair and painfully making his way back to the quarters. Liam sent one more message before following on. ‘We’re going to make it.’ The captain said before closing his pod and freezing himself. Liam followed on. For a few years there was nothingness. It was the best he’d ever slept. My rating scheme does not support negative numbers. If I could, I’d give this book a negative 4. But as it is, zero must suffice. There are sequels to this book. No thank you. After Ben Travers finally made it back to his apartment in 2009, he didn’t stay there long. Being home alone with nothing to do but going to work the next morning at the marina in St. Petersburg, fixing other people’s boats, he decided to look up his time-traveling girlfriend Mym. Along the way, in Manhattan, Ben gets snagged by a Mafioso and coerced into participating in a 25th century game show: The Chronothon. Think of a chronothon as a race, like our current Amazing Race on TV. The different levels are like trips on Amazing Race, and there are about a dozen levels to go through. As the racers start, they go through a time gate, which is also a space gate, and they appear in the desert in ancient Egypt. In each level, the racers have an objective they have to achieve. Usually the objective is an artifact of some type they have to find and bring to the next get to move on to the next level. As the racers go through the gates, they have no idea where they come out on the other side, neither where, or when. What further complicates the race it that not everything is what it seems. Might the game even be rigged? 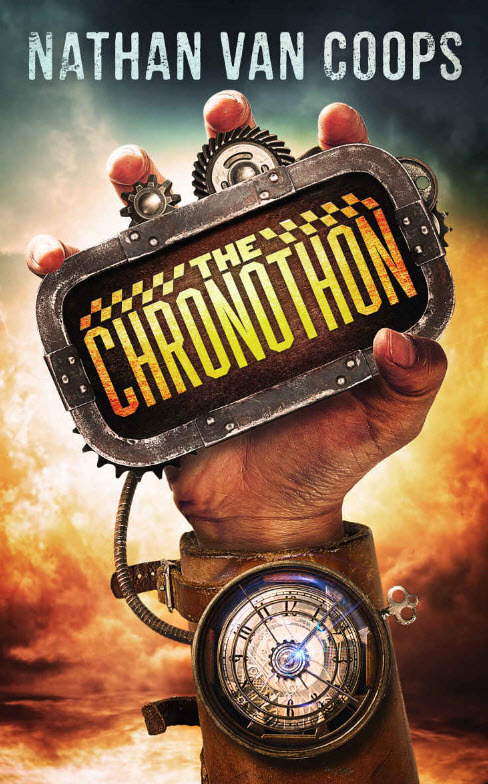 The Chronothon is the second book in Van Coops’ time travel adventure trilogy. 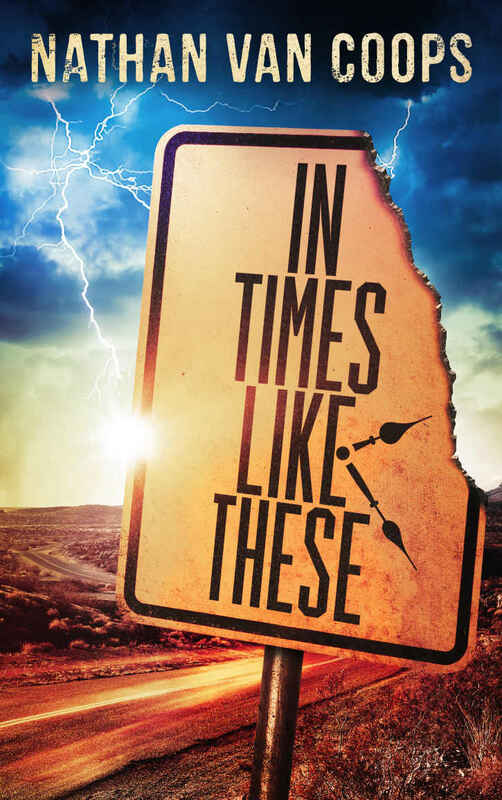 The first book was In Times Like These. 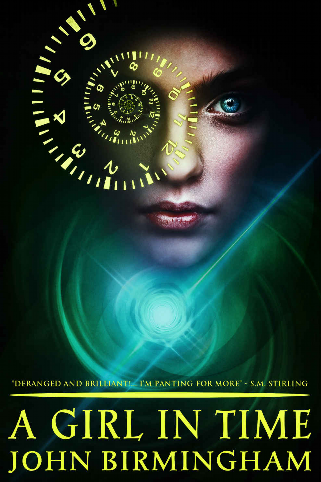 Unlike some sequels, where the second book is much like the first book, but with a different story and twist, The Chronothon is a completely fresh story, based on the same time travel technology applied In Times Like These. While Van Coops wrote this to be a stand-alone book, and while I can imagine it might work that way, I would no recommend it. 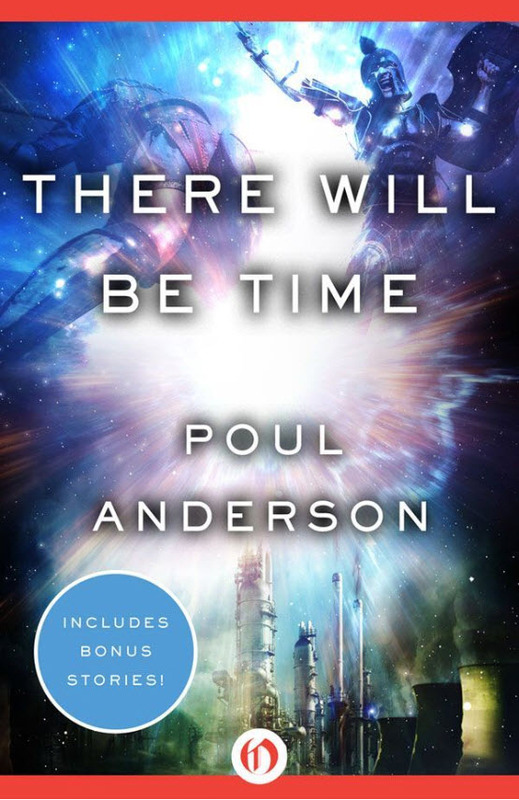 If you are interested in The Chronothon, you really should read In Times Like These first to have a grounding in the technology and the characters of this book. For me, this was a page turner with surprises and delights in every chapter. 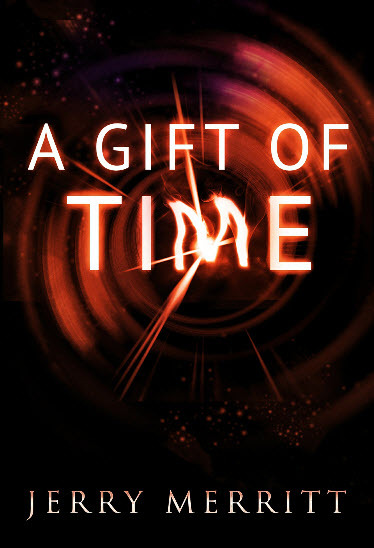 Like the first book, everything about this story is related to time travel and its effects and challenges. It’s not a story about a game using time travel, it’s about how time travel can be used for a game. The Chronothon was a little corny at times. For instance, on the planet Diamatra, there is a native sentient species, the Soma Djinn, which are centipede-like creatures that inhabit human hosts and turn them into cannibalistic zombies. I would expect that sentence either turned you off completely, or it made you want to read The Chronothon, just to figure out how a reasonable and well-read human being like me can give this book three stars. The best time travel book of all time is Audrey Niffenegger’s The Time Traveler’s Wife. This book is the second best. Ben, Carson, Blake and Robbie are four young men in their mid-twenties in St. Petersburg, Florida who belong to a softball league and enjoy their games after work. Francesca is one of their friends who likes to play the role of fan and sometimes she comes to the games to watch. On June 10, 2009, they start their game as a thunderstorm rolls in. Soon they get rained out completely. As they linger around the dugout, changing out of their uniforms, getting ready to go home, lightning strikes nearby. A power line whips free with sparks flying off the end. The world of the five friends goes dark. When they come to a bit later, the world seems different. It’s mid-day. Were they passed out all night? Then they notice that the baseball field is no longer there. Their cars are gone. Everything seems somewhat retro. Within an hour of head scratching and ambling around they finally come to the conclusion that they are in St. Petersburg, Florida, in December 1986. They have the few clothes on their backs, flip flops, no money to speak of. Their cell phones don’t work. Now what? They have no idea what happened to them, and the rest of the story is about their journey back through time. The story is told in first person narration by Ben and from Ben’s point of view. First person stories often drive a sense of urgency and action, which works marvelously here. The descriptions are vivid and I have pictures of the scenes and people in front of me. The story is fast-paced and filled with action. And it’s all about time travel. 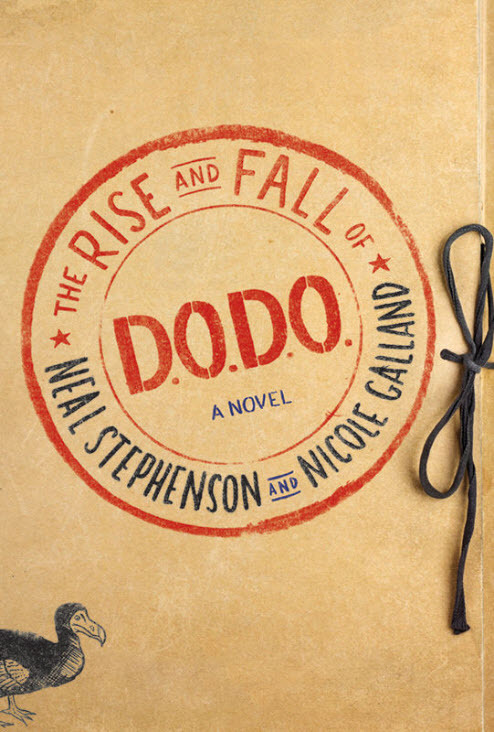 This is not a book where time travel is just another method of getting around, like tracking a trolley to the city, or an airplane to Tokyo, or a time machine to 1955. 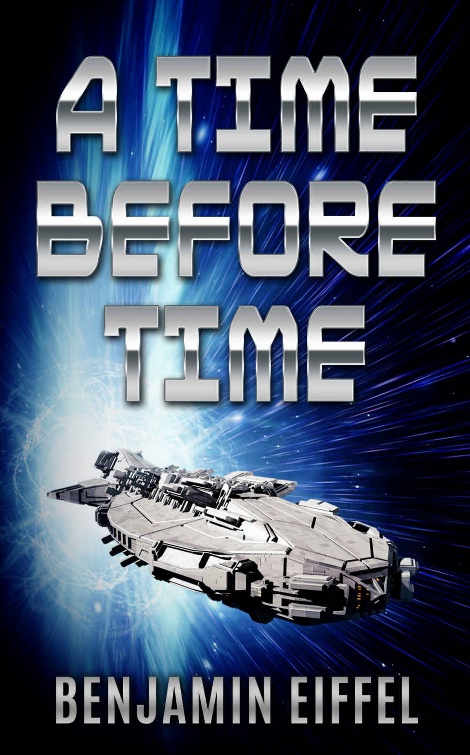 No, this story does not just “use” time travel, it is about time travel. The mechanics of time travel, its limitations, its amazing possibilities, are central to the plot and the story line, very much like it was with The Time Traveler’s Wife. In Times Like These is not a story that applies time travel as a vehicle, but rather it’s time travel that reveals itself by telling a story. As it is with time travel books, the methods of travel, the triggers, are always different. Sometimes there are machines that make it possible. Sometimes there are natural phenomena that accidentally cause travel. In Times Like These it is science that makes it possible, with limitations. And the limitations are what makes it complicated and very, very dangerous. For instance, when you travel in time (and I’ll leave it up to you to read about how this can happen), you disappear from the current location and materialize elsewhere, and elsewhen. Since the earth rotates faster than a jet plane, if you were to jump in time by a second into the future, the earth would have moved under you by about a third of a mile. So, you can’t just time travel, you have to space travel also. Since you can’t afford to rematerialize in outer space after a time jump, since the earth moved away from you, you need an anchor, some object that fixes you in place on earth. And that gets tricky. What if you materialize where some other object occupies the space? You would be fused with that other object. Imagine you materialize in a meadow where there was tall grass. Now the grass would be growing through your feet? It would be very painful indeed. I don’t want to get too technical in this review, but this is what the book is about. How does a person travel in time safely with these terrible limitations? There is only one technicality that bothered me somewhat, and it permeates the story. They make extra sure that fusion does not happen. Humans do not suddenly occupy the space of other objects. But air does not seem to matter. The entire technical plot and plausibility seems to ignore the fact that air also is matter, and it needs to take up space. We’re not in a vacuum, even when we’re not co-occupying space with furniture, or buildings, or other people. But that’s ok. I got over that quickly, immersed myself in a world where time travel was invented, and I thoroughly enjoyed the sheer adventure of it. There is a sequel, titled The Chronothon, and I am reading it now. 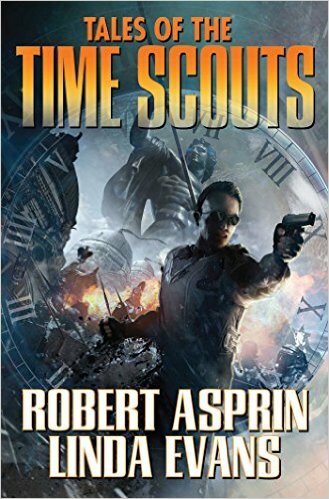 Tales of the Time Scouts is time travel story with a great premise. It is also the first of a series of four books. Due to a scientific accident, time gates have developed all over the world. People walking through these gates end up in different places at different times. The stable gates reappear at predictable intervals, sort of like the Old Faithful geyser. But the intervals are not initially obvious, and the destinations of gates must be explored. To make it worse, gates sometimes are unstable. Walking through an unstable gate can, of course, be fatal, or fateful. It could be a one-way ticket and you could be stuck in a dinosaur world with nothing but your pocket knife. Time Scouts are individuals whose job it is to explore the gates, and document their specifics. A stable gate can then be used for research, trade, and time tourism. It’s possible, with the help of Time Guides, to visit ancient Rome, for instance. The time portals are like transit stations, you can think of them as train stations or airports, except the departures are going into times, not places. I have serious issues with the credibility of the main characters. One is Kit Carson, the most famous time scout of all, who is now retired, working as a hotel keeper at Time Terminal 86. From the description and behavior, I have formed a picture of Sam Elliott in my mind for Kit Carson. Margo, a girl barely 18 years old, desperately wants to be the world’s first female time scout. Females have never been used as time scouts, because in almost all societies in the past, in almost all eras, females were at best second-class citizens, and often abused, enslaved and worse. It’s not considered healthy for a female to show up in ancient Egypt, for instance, come up with a credible story and actually survive to return when the gate opens again. For that reason, nobody is willing to train Margo. Everyone thinks it’s a suicide mission. She vehemently insists on fulfilling this goal. However, she constantly does stupid stuff. When she has to work at learning self-defense, she mopes. When math is involved, she complains. When book learning comes up, she rebels. Her behavior just makes no sense. If she were really dedicated to success, after she convinced the most renowned person in the business to train her, why would she keep bickering and sabotaging her own training? Her juvenile behavior and her inconsistent character traits make for a jarring story line. I found myself constantly annoyed by Margo’s immaturity and stupidity, to the point where I lost interest. Why the authors chose a hot-looking 18-year-old girl as protagonist for this story I do not understand. The story, the premise, is very promising and thought-provoking. Margo’s character destroys it. I gave up at about 15% into the book. Perhaps Margo’s role gets better as the story goes on, I’ll never know, and I won’t be reading the sequels. Not star-rated because I didn’t finish reading the book. Time Traders is really two books in one. The first half is Time Traders. The other half is Galactic Derelict. The book could have stopped after the first half, and Galactic Derelict could have been a sequel. With the exception of one, the protagonists are the same. A group of agents who time travel for the U.S. government, chasing Russian time travelers who are on to some alien technology that they think will give them an advantage in the game for balance of power in the world. I had never heard of Andre Norton when I discovered this book by accident on an Amazon search. It cost $0, so it was not a difficult buy. Andre is actually quite a good writer, and she wrote a lot of fantasy and then later science fiction books. 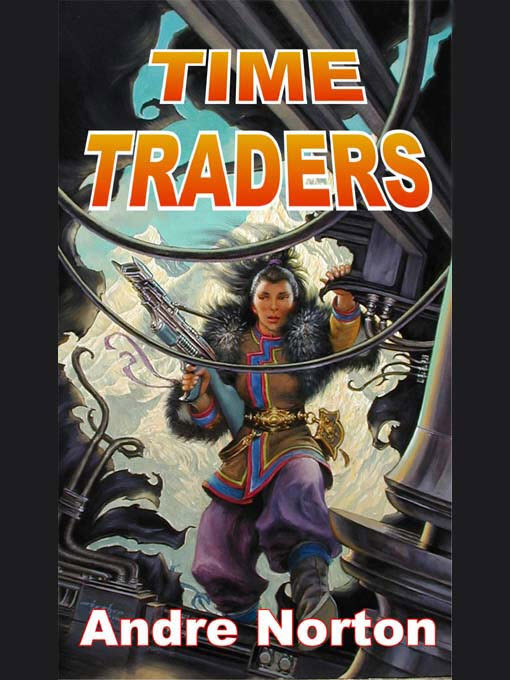 In Time Traders, she packed too much stuff into one book: Time travel, alternate history, by traveling into the past of human civilization, international intrigue (the Russians vs. the United States – of course, this is copyright 1959, so that makes sense), interstellar travel, aliens of all types, most significantly humanoids, mystery weapons, computer and robot controlled machinery (using tapes), hyperspace travel, and on the list goes. In the end, nothing really gets resolved. I felt like the author had a tool chest of neat stuff available in 1959, and she wanted it all packed into one book. That made the story disconnected, choppy and somewhat hokey. Then I found there a sequel, but I am not interested. Norton is a good writer, but her subject matter is just not interesting enough to me. No more Andre Norton.